Because the smartphone and tablet markets are growing so quickly, it’s more important than ever to have a mobile website and to have a mobile marketing strategy for your business. If you don’t have a mobile-optimized version of your website, you’re probably losing business to your competitors who do. Technology changes quickly, almost too quick… if you blink you’ll miss the next greatest gadget or application. But….that’s just the way it is and He or She who stays on top of the fast changing mobile website development will have cutting edge mobile marketing strategies that will open up new markets and increased profits. Mobile Websites designed and developed for mobile devices make it easier to engage your customers in real world business. With mobile-specific features that include click-to-call and mapping features, your mobile website will make it easier for customers to contact you. If someone looks you up on the internet via their iPhone, for instance, it’s going to be hard to read and navigate your site if it’s designed for full-size browsers. Many people who land on your site will simply click away and find an alternative, which is usually going to be one of your competitors. Tough luck for you because that could have been your million dollar client! …..or maybe he just wanted a couple of pizzas. The mobile-optimized website layout isn’t all you need though. You also need to ensure that you’re providing your visitors with the information they want. People using mobile devices tend to be looking for different information. They’re often going to look this information up when they need to get in touch with you or even when they’re on their way to your place of business. Those customers are highly qualified, since they’re actively seeking you out to provide them with a solution to their problem. If they can’t find what they need on your site, they’ll usually move on to another one. While having a mobile-optimized layout is important, you also need to be sure your mobile site makes it easy to find this type of information. Think of it this way – your site visitor should be able to load the site and find the information they want with one hand, sitting at a stoplight. If your site passes that test, it’s going to work well for mobile access. There’s rarely any need to provide information such as product specifications, company history and other such things on a mobile site. People looking for that kind of information are usually doing so from a full-size computer. A developer must also gain a clear understanding on the profile of the target audience, what would be their possible requirements be from the website or the application that you are designing and how relevant in your content to the audience that you intend to communicate with. Your mobile website design must use appropriate tools that help you deliver an easy to navigate and content-rich browsing experience. If you really want to provide mobile users with this kind of information you can simply add a link to your mobile page that takes people back to the full-size layout. Most mobile devices are able to display the standard layouts, it just makes it a lot harder to navigate. Remember the old adage, KISS….. keep it simple stupid! Provide the very basics for your mobile visitors and if needed you can include a link to your main site, but we’ve found that the simpler the better while people are using their smartphones. Web marketing is evolving, just like everything else in connection with cyberspace as well as technology. Businesses are moving to mobile internet based usage faster than ever before, and your web marketing strategy really should evolve along with it. Today, we’re going to look at some of the essential difficulties with regard to mobile advertising and mobile marketing. The biggest change is in how people use your company website. Devices like the iPhone and iPad are being used more and more to surf the web, and this creates some new issues for you as a marketer. The latest mobile devices are more than capable of displaying a standard web page, but being able to display it doesn’t mean it’s actually readable or usable. The small screens on these devices make it hard to read and even harder to click on links. It will be both easier to read and easier to navigate when you offer your visitors a version of your website that’s been optimized for mobile devices. You don’t need to create a separate website, however – the computer running your website can identify the type of device and send out the correct version of the site automatically. 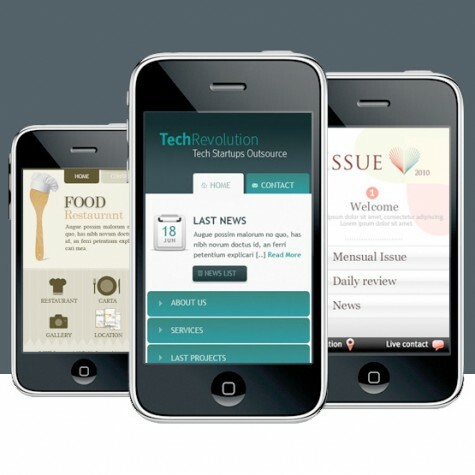 Your mobile version should focus on different information than the standard site. People browsing on mobile devices are generally looking for information like your phone number, address and hours of operation. It’s important to make sure this information is found easily on your home page, or within one click from it. Another change that mobile marketing brings is how you contact your customers. While they’re probably still reading their email on these devices, it can much more effective to use SMS (text message) marketing instead. Not only do you still get access to your customers, they also tend to read text messages faster and more consistently. Even social media sites like Twitter and Facebook are widely used on mobile devices, so you should have a business presence on those sites. This will give your customers yet another outlet where they can interact with you. The more alternatives you give them, the better, since not everybody wants to use the same method of communication. Mobile marketing is happening so fast that it’s almost impossible to keep up with the changes, yet….he that keeps up and stays on top of technology based marketing efforts is going to get the lions share of customers/clients using these devices! This big change to mobile marketing presents an opportunity to the internet marketer, the marketer who has stayed on top of mobile marketing, to provide your services to offline businesses to whom this is just all too complicated. And to those offline businesses all you need to do is check out some of the work of anyone promising to build you mobile website and you will be in good shape…..better to get a referral! Times are tough and business owners are now wondering if they not only need a website but a mobile website also. There are a few things to consider when contemplating whether they should deploy a mobile website. What is your target market and do you understand what they need. Even businesses that serve the same market are different from each other and almost all businesses serve people in a wide age range, if you think that only the young people are using smartphones and connected to the web on a mobile platform, you are making a big mistake. Older generations not using cell phone technology just doesn’t apply anymore. Although some older business owners are in the stone age it is becoming increasingly difficult to ignore modern technology and dismiss the effectiveness of websites, both standard websites and mobile websites as they are finding out more and more of their customers find them and buy from them through a mobile website version of their website. If your work or business involves dealing with other business owners, then it is imperative that you invest in an effective mobile website. You and your business might deal more with consumers so you might dismiss a mobile website, don’t make that mistake because a mobile website can be used for directions, special offers, coupons, contact info or even something like item of the day. Today it isn’t unusual for people to purchase just about anything online and that mindset is carrying over to mobile devices as well, all you need is traffic to your site and you’ll see results. Amazon is a good example of this, they have a mobile version of their website which is simple, easy to navigate and purchasing is similar to their main website the only difference is the size of the space because of the mobile device, people buy from their mobile site. Another thing to realize about Amazon is that they know which aspects of their main website are important and they’ve reduced and made those functions available on the mobile site, things like a recommendations list and the secure shopping cart. Amazon makes a ton of cash from the main website, people have gotten used to purchasing online and aren’t afraid to leave their personal information at the site, this degree of comfort needs to be carried over to the mobile version of the website to make it successful. One way that Amazon has conveyed a degree of comfort for their mobile website is by setting up a thorough FAQ section which answers questions or problems regarding the mobile version of the website. Hopefully this article answered some of your questions about mobile websites and given you the push needed to get one set up. You might think you’d obtain next to nothing from getting one, however, the fact that 71% of Mobile phone consumers will likely search for more information on their personal Smartphones when they look at a Television, press or an e-commerce advertising; it makes you wonder if you’re leaving money on the table by not including a smartphone website into your online marketing plan. Nonetheless, cell phone consumption is increasing and ninety percent of the world exists in a place from where they are able to receive wireless access. You might not want to spend the cash for a mobile website today, but sooner or latter you will have a mobile website or your competition, the one with the mobile website will quickly overtake you. Why don’t you try to run a poll on your website to see what your customers think about mobile sites. Before you do your polling it would be wise to share some of the benefits a mobile website would bring to your customers since they may think you are just trying to get more money out of them, tell them of special discounts, easy buying, special offers and the fact that all their data will still be safe and protected. Even if your business is successful, business owners are wondering if they are losing money because they don’t have a mobile version of their website. Obviously you need to think it through when considering whether you would benefit from having a mobile version of your website. Some of the links in this article point to a special package that will allow you to build your own mobile websites, in fact, there are plenty of local businesses that need mobile websites and you can easily charge $500 a site. Consider some of the thoughts about mobile websites below, if you need someone to build a mobile website for you please leave a comment and I’ll get right back to you! Who buys your goods or services and what would make that buying process easier for them. I’ve got some news for you, it doesn’t matter what you sell or service, everyone is connected to the web and everyone is on the move. Even my 82 year old mother uses a cell phone to find local business numbers….. do you think she can read a desktop version of your website……no, but a mobile version with a phone number or tap here to call …..that she will use. It’s not true that granny doesn’t use a smartphone for finding a store, restaurant or other needed business. Most owners of business use some sort of smartphone and keep in contact with their customers and their business by means of a web connected phone, it may be a difficult process to learn and start but once you get a handle on using a smartphone you’ll wonder how you got along without it…..so, naturally you need a mobile website version, something that loads quick and displays important information up front. Are you in sales, then you are working with other business owners and I can almost guarantee that your sales will increase with the proper mobile website. Don’t think that a mobile website would not be important to you because you deal strictly with consumers, your mobile website can be configured with information that focuses on getting your customers excited and motivated to come into the store and pick up the mobile only deals! Assuming your website gets traffic, qualified traffic, that is people looking to buy something it really doesn’t make much of a difference if they are on a tablet, their desktop, laptop or a mobile device as long as the webpage is displayed in a way that encourages the visitor to make a sale. One of the best examples of a working, successful mobile website is Amazon.com, they have a mobile version of their website that is easy to navigate, easy to find what you’re looking for and easy to purchase a product. Amazon.com is a great model to follow in a conceptual sense, they’ve taken the most popular aspects of the main website and put them into the mobile version of their website and you probably guessed it but the mobile version includes things like the recommendations list and the shopping cart! Today people are still hesitant to leave their information at a website especially, name, email and credit card, however, Amazon seems to have transferred this comfort from the main site to their mobile site. Often times it is just a matter of common sense when solving website problems and dealing with fear and the mobile version of a website is no different, Amazon.com solved their mobile website problems, questions and fear by setting up an FAQ section, you could do the same! Since you’ve entertained the thought of a mobile website, I hope some of this information in this article has helped you to make up your mind about the importance of your business having a mobile site. It’s normal to think that a mobile website wouldn’t affect your business, however, considering the fact that over 70% of smartphone owners will do a quick search for more info when they see a TV ad, billboard or newspaper ad; you might start to contemplate whether or not a mobile website would be profitable for you and your business! In today’s economy you have to wonder if a mobile website is absolutely necessary and will it at least pay for itself, that’s only natural but you can’t ignore the fact that over 70% of smartphone users will pull out their device and do a smartphone search when they see a billboard, newspaper ad or see a TV ad and if you do any other advertising and these smartphone users can’t find you it’s just the fact that you’ve left cash on table! Ninety percent of the world has mobile access, if this is true, you don’t have to like it but you better decide to use it! You might not want to spend the cash for a mobile website today, but sooner or latter you will have a mobile website or your competition, the one with the mobile website will quickly overtake you. You could run a poll or just ask your customers whether a mobile site might be useful to the, or even set up a simple 1 page mock up of a mobile version. If you decide to poll your customers make sure they have a full understanding of the benefits of a mobile website and make sure they understand that your mobile website is fully secure, you might want to set up a mock up of a mobile site so they could get the feel of it, throw in some coupons or special offers and I know you’ll get a response! If you build websites or blogs for local businesses then you really need to check out this package. Kevin is releasing it dirt cheap and its one of the best I’ve run across. His support is superb and the product is constantly being revised and updated. I urge you to add these mobile website services to you list of services for offline marketing….. you owe it to your clients! If you own a business, the internet plays a big part of your business and if it isn’t it surely will be. Once restricted to the desktop, websites today are capable of being displayed on a variety of mobile platforms, gaming platforms and other machines such as tablets or ipads. Since the advent of smartphones, mobile websites have given rise to mobile website marketing and this allows just about anyone to enter the internet marketing arena especially those with offline business models. The internet evolves quickly and just when you think you have a handle on your business website things change, today with the advent of mobile devices that connect to the internet you need a specially formatted website, mobile website, that will show properly and easily on handheld devices that connect to the internet. It’s exciting to know that a properly formatted mobile website will increase the value of both your business and your business website because more of your customers and clients will have access to your information and store. Today so many prospects are out and about, they want information now…. thus the rise in fast loading, information packed mobile websites which make mobile marketing possible. Mobile searches are going on constantly from mobile phones and other devices and these searches aren’t necessarily confined to big cities. Our good friend Google reports that search volume increases 150% a year and is consistent year after year, in fact, it increases year after year and Google predicts mobile search to grow and over take desktop search. One fact remains, these mobile devices only increase in power and ability each year and provide mobile website developers with options for developing mobile websites that have functions they could have only dreamed of 2 years ago, and these added abilities only give the local business another opportunity to make more money. Obviously this does not mean that the marketing experts are exactly trying to take advantage of the full power of these smartphones for mobile marketing and advertising, in actuality it is actually quite the contrary. As the processing power increases with the new mobile devices, designing mobile websites displaying advertising becomes much easier. This suitable environment causes it to become more effective to advertise to mobile devices whereas in the past it was mainly possible while using more costly models which have been less common until recently. In case you wondered, Google is really the only search engine you need to worry about when considering mobile marketing. Google takes advantage of its wide-spread reach to nearly all mobile devices and it has adapted to those connected with mobile accessibility and stature. One interesting fact is that Google has configured their keyword research tool to specifically deal with the results from mobile search statistics. There was a time that mobile websites were an option, today with the popularity of web based smart phones a mobile website for your business is a must! Now that mobile websites are popular….or should I say a must, you need to find out who builds them and how can you get one. It’s important to remember some basic mobile website design tips so that when someone visits your mobile website it is a pleasant and informative experience….. easier said than done! If you have spent some money designing your main website, you should make an effort to carry the theme and colors to your mobile website, all the way to using a smaller version of your header graphic. Your mobile website needs to be intuitive, by that, I mean easy to navigate and find important information while the site should load quickly which means you need to keep it small in size. Don’t get lulled into thinking you can load your mobile website up with lots of pretty graphics because they will slow the site down and your visitors will leave before your website loads on the phone, graphics need to be maximally optimized. Remember the purpose of a mobile website is to get information about your company or business quickly so it is obvious that navigating your mobile site must be easy and quick, so put your primary information out front with simple tabs or icons related to finding that information. When someone navigates to your mobile site, make sure they can see the information that is considered important and that’s the info that will be tabbed or identified with icons. Categories is another way to link to the internal pages of your mobile website, so use them judicially and point them to the appropriate mobile pages. The above facts will enhance your mobile users experience and just might bring a few more customers in your store! One of the first links I put on a mobile site is a “Contact Us” or “Contact Me” link with a phone number email address and other contact information, next you should link to your main website and probably to some of the social sites like Facebook. The size of a mobile website is important, do not fill your pages up with lots of content because it will just take too much time to load and the main point of the page will get lost in all the content. Make a post it note and write on it “Keep it Simple”, stick it on your screen while creating your mobile site. Building a list is important so offer a discount for anyone willing to leave their name and email in an optin form. You can place an optin form on your mobile site and people will surely sign up for their discount and you’ll add another name to your marketing list! It’s nearly impossible to create a universal mobile website that can be read on any mobile platform. Mobile browsers don’t support the same properties and HTML elements, and your markup may appear very different depending on the mobile browser or platform. Also, smartphones may have differently sized screens, and some of them (such as the iPhone) switch between horizontal and vertical. This switching makes browsing easy for users, but it means you can’t used a fixed width-go with a percentage instead. Having a mobile version of your website can pay off big in increased traffic and sales, but you need to make that mobile site professional, attractive, and easy to navigate. If you’re not well acquainted with mobile development, consider using the services of a web designer which specializes in mobile platforms. Remember, fast and quick, keeping this in mind when designing a mobile website will put you ahead of all the other designers. The coding or technical side of mobile websites is slightly different than designing a standard static HTML website. A good website designer can easily put one together for you, however, there’s a growing list of mobile website designers that specialize in mobile website design and coding. You could always do a little studying and give it a shot yourself! Manufacturer’s of mobile devices understand the trend for information to be displayed on their phones, droids, ipads, kindles and just about any hand held computer device. The problem stems from some sort of universal format for displaying website information. We are getting close to a standard for mobile web activities but still a way off, as so, website developers are simply not going to want to make 10 different versions of the same website. But……As the big guns of mobile devices duke it out for supremacy we’re left in no doubt that mobile devices are the way forward when it comes to accessing the web as these statistics show. These startling mobile web statistics have businesses scrambling to get their mobile web presence out there and with the popularity with QR (Quick Response) codes on the rise they have ample opportunity to promote their mobile presence in various ways. Even so, just as the autombile record player gave way to the 8 track tape which gave way to the cassette tape and then to various formats of CD, DVD mediums and finally to streaming mp3 bits….. I can guarantee the proprietary formats that will be developed in the future will dissolve all into one and when that happens the mobile web market will undoubtedly rival anything near to it. Consider this fact, ….. 77 percent of the world’s population subscribe to mobile, that’s 5.3 billion people. Now objectively we don’t know exactly how much time people are spending on their mobile phone – surfing the mobile web, but the statistic below gives us an indication of what is predicted in the future. •	In 2009 half a billion people accessed mobile Internet worldwide. Statistical data given by analysis companies such as Gartner indicate that usage is expected to double within five years as mobile overtakes the PC as the most popular way to get on the Web. Could this be true? If yes, then every business in the world needs to have a version of a website optimized for a handheld device suitable for the mobile web or they will lose business…. simple as that !!! It’s very telling that Gartner believes that mobile web will overtake PC usage and we only have to look around to see that in effect. You could walk down any busy street and see at least one person glued to their Smartphone. They could be sending or viewing an SMS or email – or they could be mobile surfing to find the address of a store? Quite possibly they could be making a purchase of something. Gartner also revealed some staggering predictions for ad revenue and this would indicate that businesses placing ads on mobile websites feel there is huge value in this sector. You have to know this will be huge, where the eyes go…… cash follows. All those greedy bastards that serve up advertising will be vying for space on your handheld device. Gartner predicts mobile ad revenue will be US$3.3 billion in 2011. This will explode to $20.6 billion in 2015. It will double each year and will continue to grow thereafter. What are your thoughts on this? Do you use your mobile phone to surf the web? Would you purchase from a link placed on a mobile website? These startling statistics for mobile web surfing show that mobile web use is on the up and up and predictions show it’s not slowing down. As long as purchase guarantee’s and protections are upheld, this will be the glue for anyone buying from a pc, phone or walk-in. If I’m on my mobile and I can order a pizza without talking to anyone and have the pizza show up when I want to eat it….. well dude, I’m buying While mobile web access and growth will develop a new paradigm of consumer purchases, I hope this paradigm doesn’t turn our local mom and pop stores to neglected piles of rubbish! Your mobile site that you or your programmer has developed can be hosted on your site, and can be accessed in a few ways. 1. You can register your own.mobi domain. If available, your existing domain can be registered as a.mobi domain, again if available. It is a good idea to register as many domains of your main domain so that you maintain control of your brand. This is a separate domain and can be promoted like any other domain. 2. You can host your mobile site as a sub domain. For example “XYZ.com” may want to set up a sub domain for their mobile site and host it as “mobile.XYZ.com”. Sub domains act very similar to top level domains and can be picked up by search engines. You may want to check with a SEO specialist about strategies for promoting sub domains before you have too many sub domains. The rule of thumb is that for safe promotion each sub domain should be a separate topic or subject, related to, but not the same as your main site. 3. Use a folder off your main directory. Besides the.mobi domain this may be the easiest and possibly safest means of hosting your mobile site. You can have a folder from your main directory like /mobi or whatever you wish and store the main page as index.html. 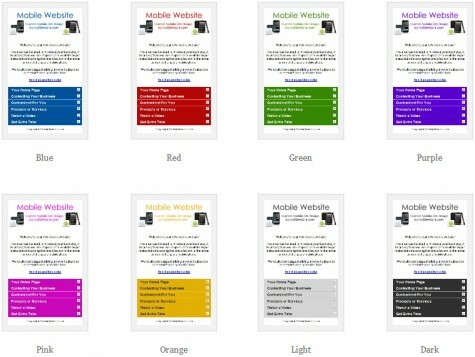 In summary having a mobile web page is just as important, or maybe more important, as having a web site. Since over five billion people world wide use cell phones, not all with Wi-Fi capabilities of course, it is the biggest market since the Internet. As phones and access become cheaper, more and more people will have access to your web page on their phones. As I already mentioned, development of mobile web activities is happening at breakneck speeds, soon to be standardized but until then make sure you get yourself connected with a good mobile app guy so you have a mobile web presence. This could be sometime as simple as an image gallery, contact form, autoresonder, phone number, and maybe a small ad that solicts for your business. Do these simple things now and you’ll be on top of the Mobile Web mountain! -Beating around the bush of what you are trying to say will confuse people, which means they won’t comprehend your message. Be clear about your message. If you want them to take some type of action, tell them exactly what you want them to do and there’s a better chance of them actually doing it. -Language is one most important aspects of effective communication. Do not use offensive and foul words in relaying SMS promotion. Choose your words carefully. -Don’t use exaggerated claims or out-right “untruths” when using SMS text message marketing. The last thing you want is a bad reputation for your business so keep your text messages 100% honest. -One way of getting customers is through courtesy and politeness. When people are pleased with the way you interact with them via text messaging, they will stay on your list a lot longer. If they sense one bit of rudeness, they won’t hesitate to opt-out of your list. -Don’t constantly send text messages about promotional offers. Every now and then, send your list some free tips that they would find useful. You’d be surprised at the level of customer-loyalty that is created just by giving out free information regarding your industry. Consider the power of SMS text message marketing and use it wisely, if you abuse the privilege it will come back to bite you…. use it properly and your rewards will be multiplied!